It is christmas eve, yet publishing this review is more important than ever. We have seen many unique Fancy Color Diamonds sell at auction and many records set, but we have also seen many fantastic diamonds going unsold. What can we learn and conclude from that? What can we expect during the next 12 months from the industry? There are some very good reports from very interesting parties on the overall diamond industry, some paid for, some independent, yet no one is reviewing the “Investment” sector of the industry? Why is that? How have frauds contributed to preventing further investments in Fancy Color Diamonds? How are Lab grown diamonds affecting the diamond investment industry? What’s next for pink diamonds once the Argyle mine closes in 2020? What about digital currency backed by diamonds? these are the main questions, but at the end it all comes down to only two questions; Should I consider diamonds as an investment, and if so how should I ago about it? we can always start by a quick analysis of the current industry from various angles and hopefully we will be able to answer. While overall, the diamond industry has improved during 2018, both in sales volume and profitability, auction sales have decreased. Auction houses rely on a handful of items every year to bring in the larger portion of sales, and this year, was clear that some important pieces went unsold. During 2018, Sotheby’s sold around $414 million in jewellery auction, compared to $551.3 million in 2017, representing an almost 25% decline. Christie’s have also suffered a decline, selling $492.3 million in 2018 compared to $556.7 million in 2017, representing an 11.6% decline. during the year I had a feeling that both auction houses did much less in order to educate and promote some of their unique pieces. In some cases they also opted to sell items with outdated GIA certificate which were over 5 years old, rather than request an updated one. It felt that less efforts were put in making some, very much needed, videos. On the other hand, in their defence, it is quite difficult in finding rare items and offer it to the public, as more investors are looking for “perfect” pieces, best colors possible and highest clarities. It is obvious that this year it was even more of a challenge than ever, yet we have seen some great pieces sold and make history. Diamond Investors are sharper and have more acumen than ever before. 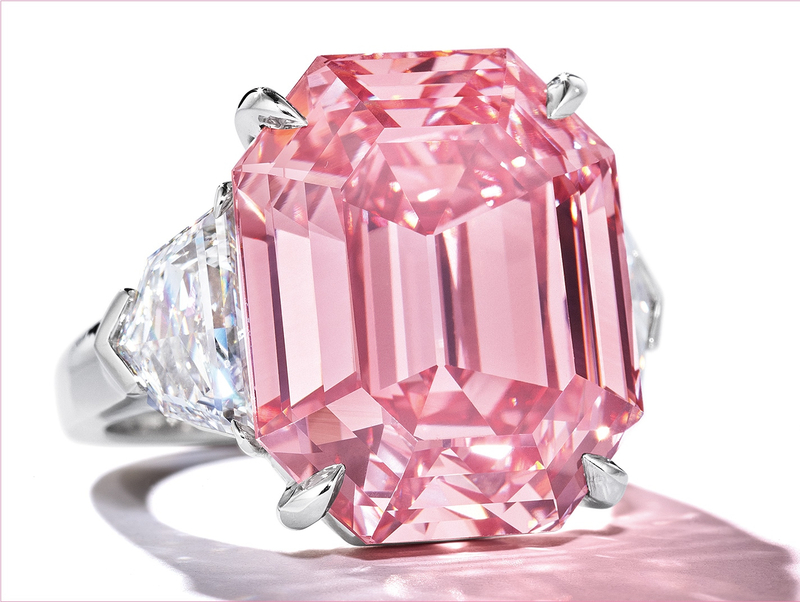 The 18.96 carat, Fancy Vivid Pink named the Winston Pink Legacy was sold for $49,871,250 (some claim $50 million), or $2,630,340 per carat, making it the most expensive pink diamond ever sold (per carat price). it was sold by Christie’s in Geneva in November 2018. 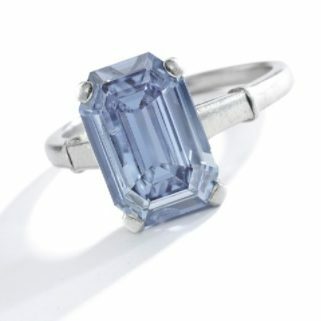 A 2.02 carat, Fancy Intense Blue diamond was sold by Sotheby’s in Geneva in November 2018 for a total of $3,354,041 or $1,660,416 per carat, making it the most expensive Intense Blue Diamond in the 1-3 carat category (per carat price). A 3.47 carat, Fancy Intense Blue Diamond was sold by Sotheby’s in New York on April 18, 2018 for a total of $6,663,300 or $1,920,259 per carat. 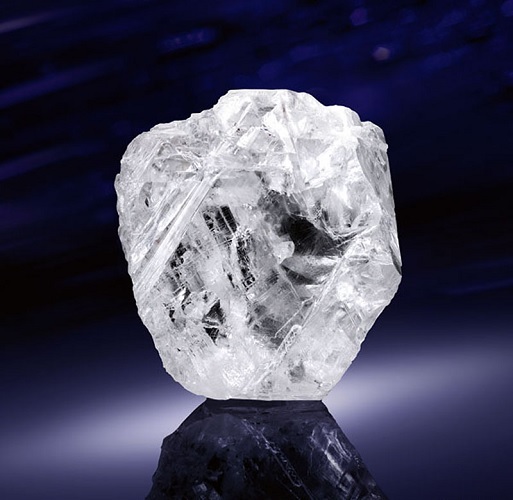 This a record price in the 3-5 carat sub-category (per carat record). 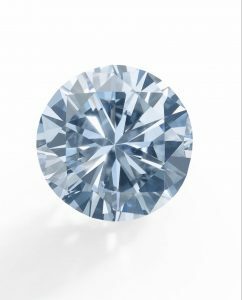 A 2.10 carat, Fancy Vivid Blue Diamond was sold at a Christie’s New York auction on April 17, 2018 for $3,492,500 or $1,663,095 per carat. it was a per carat record in the 1-3 carat Sub-category. Back in 2017, 5 records were broken in the Intense and Vivid Pink and blue diamond categories. The financing of the industry continues to dwindle as it becomes more of a challenge to get bank loans. The only area this remains somewhat manageable is India, where the banks continue to support the industry in the rough and mostly polishing sector, despite some major fraud cases pending further investigation. Let’s remember that hundreds of thousands of jobs are in the industry in india, and that india is responsible for over 90% of polishing activities. From various reports, we have seen a substantial increase in supply for rough diamonds offered by the major mining companies; Approximately 20% increase in production, based on a Bain & Co. report recently published. On the other hand, revenues have only increased by a low 2-3%, meaning (in my humble opinion) that lower quality rough is coming out and that lower average prices also contributed to a lower revenue stream compared to the increase in rough diamonds. New mines have started operations in the last 12 months or so, but a major mine, that of Rio Tinto (Argyle mine in australia) is about to shut down sometimes in 2020. This closure means a major decrease in supply of rough diamonds, especially pink, where Argyle controls over 90% of pink diamond rough, and with continued increase in demand, prices will eventually increase. As the diamond investment industry grows every year so are attempts by individuals to defraud unsuspecting victims. This industry is not yet regulated anywhere so naturally, it will also involve some fraudulent activities. The majority of current frauds are in the UK and north america, where victims, of which the majority are retired individuals are approached mostly by phone. They may be offered real fancy color diamonds for investment purposes, but the price paid for these diamonds will not be recovered should the investor decide to realise his “gain”. I have been directly approached by many victims or family members of victims asking for help, and unfortunately there is not much that can be done. In the UK, the authorities are able to shut down operations of such fraudsters, and in some cases an individual has many operating companies. The London Diamond Exchange has messages on its website in order to educate about these activities. In France, it is now illegal to advertise on any website “diamonds for investments”. Only in some rare cases, individuals committing these frauds have gone to jail. I think that this industry should be regulated or at least an association should be responsible for educating the investment community as well as have individuals who wish to practice in this area adhere to strict and high ethical standards. A lot of noise has been created in regards to Lab Grown diamonds. Although this year the consumer protection office in the USA has decided that Lab Grown Diamonds could be referred to as the same as those mined from the ground, DeBeers is now offering lab grown diamonds. The DPA (Diamond Producers Association) maintains its focus on promoting natural diamonds that derive from the earth as natural. Currently the volume of Lab Grown Diamonds is mostly in the melle size and only a small portion has been created larger than 1 carat, eventually this market will be in the 5-10% of overall diamond industry demand, but only as jewellery. In any case as technology advances and the cost of creating lab grown diamonds decreases, this will not affect the diamond investment industry, quite the contrary, it will only strengthen the position of the sector in comparison to the overall diamond industry. 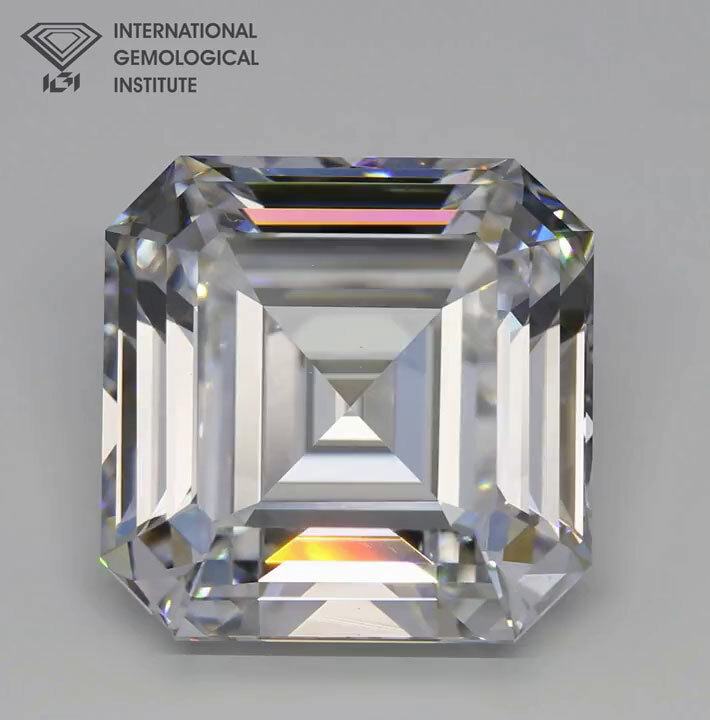 A 10 carat, Certified, Lab Grown Diamond. Currently the largest in existence. Rio Tinto maintains its position that the Argyle mine will close in 2020, and in fact already has a special committee setup for the closure. They have employees on the ground preparing for the closure and flooding of the mine. What does that mean? It means that after the closure of the mine the world’s supply of pink diamonds will be reduced by over 90% of current supply. 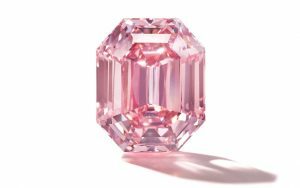 This will naturally increase the value of the current supply that exist, and the only way to acquire an argyle pink diamond will be on the secondary market. We have only seen a handful of such diamonds come back to the market via auctions. the appreciation of these diamonds by investors have only increased over the years. Rio Tinto claims that the price paid for its annual tender of pink diamonds have had a 400% price increase over the 2000-2018 period, which surpasses the majority of equity markets during the same period of time. The 2.11 carat, Argyle Everglow. The largest Pure Red diamond ever to come out of the Argyle Mine in Australia. Digital currencies have had their share of uncertainties and turbulence, but that is only because it is a new technology, a new asset class. The recent wave of depreciating values indicates that it is now going int its second stage, which means maturity. Nevertheless, any currency should be backed by some sort of real assets to show value. Bitcoin for example, has nothing standing behind it. What justifies its value, even at its lowest point in over a year? I have written on many occasions that a digital Currency should have a real asset stand behind it, and Diamonds are a perfect example. Diamond transactions in the market will assist with valuation, and they will be represented y a digital coin, which is also independently evaluated by true market conditions, rather than “manipulated” by a group of banks i the global arena. Let’s not forget that in the past, Banks have been accused of manipulating LIBOR, FOREX, and most recently the value of core metals that have spot rates, like Gold and Palladium. They have been fines billions of dollars, but it is really small change compared to the profits earned by the manipulation. We have been presenting the concentration of wealth index every second year since 2003. This year we decided to review it as well, even though the next time should only be next year. Since 2003, we have compared the concentration of wealth of 5 commodities; Artworks, Fancy Color Diamonds, Colourless Diamonds, Gold and platinum into 1 gram, and last year (2017) we decided to add the concentration of wealth of collectible cars as well, making it 6 real assets. We went back to 2003 and reviewed the car valuation since then. During 2018, there were 2 more real assets that created headlines and I wrote an article about them; collectible Spirits and watches. Perhaps these 2 commodities should also enter into our “concentration of wealth” index and remain on it moving forward. What do you think? This only strengthens the stand of real assets as part of the wealth diversification model, and asset managers should pay attention to it. If asset managers do not offer their clients a financial tool that will diversify into real assets, investors will just redeem more money and buy real assets directly, which will reduce AUM (Assets Under Management) further down by asset managers. 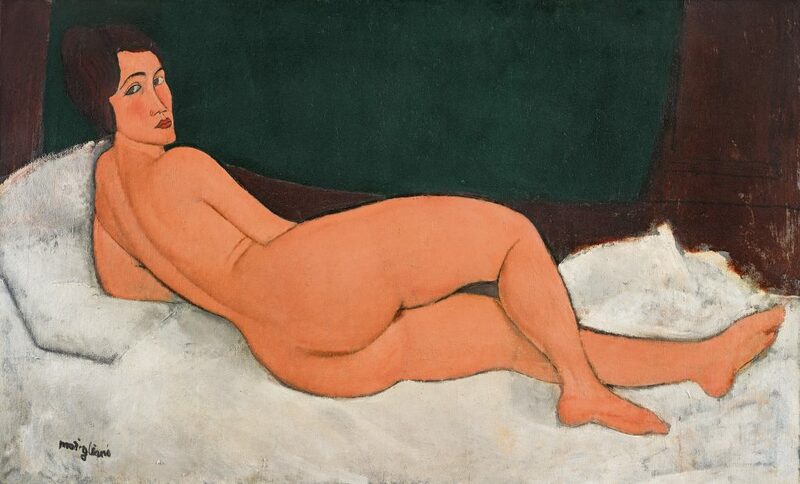 The most expensive Artwork sold during 2018 was the “Nu Couche” by Amadeo Modigliani. It was sold on May 14, 2018 during a Sotheby’s auction in New York. It was sold for $157.16 million. The interesting part is that this exact painting was previously sold at auction back in 2003 for $26.9 million. The conclusion is that it was sold for 5.822 times the previous sale price, over a 15 year period. It was sold for $26.9 million in 2003 by Steve Wynn, the casino mogul. Now, in 2018, it was sold by Billionaire John Magnier. Based on a 500 gram weight used for the 2003 calculation, it makes this painting worth $314,320 per gram. The most expensive Fancy Color Diamond sold in 2018 was the 18.96 carat, Fancy Vivid Pink Diamond. It was acquired by Harry Winston for $49,871,250 at a Christie’s auction in Geneva on November 13, 2018. 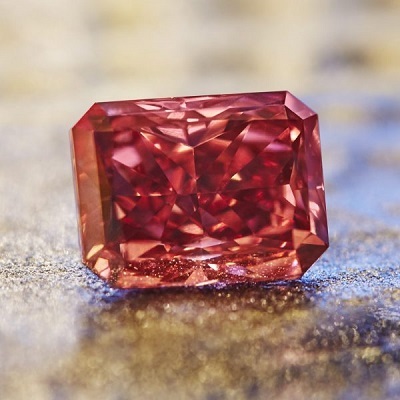 Looking at the Fancy Color Diamond in our wealth concentration of 2003, it was sold for $2,024,000. It was a 5.00 carat Fancy vivid Blue. This translates to $404,800 per carat. 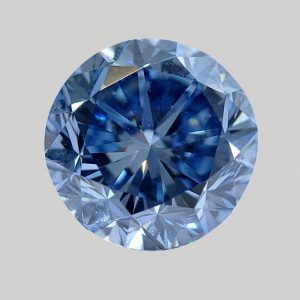 How much has a 5.00 carat Fancy vivid Blue been selling for in the last year or 2? a 5.69 carat Fancy Vivid Blue was sold on december 5, 2017 at a Sotheby’s New York auction for $2,659,191.56 per carat. This is 6.57 times the price of a similar diamond 17 years earlier. The value per gram for this diamond is $13,151,700. 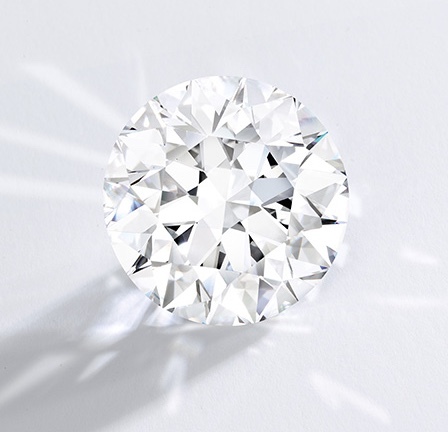 On April 9, 2018, Sotheby’s announced that they have sold the largest known round brilliant diamond to a private buyer and it has “far exceeded” the world record per carat. The world record per carat was standing at about $260,000 per carat. Let’s be conservative and assume it was sold for $265,000 per carat. This makes the value of the 102.34 carat diamond worth $1,325,000 per gram. I always base gold value at the date Fancy Color Diamond has been sold. In this case it was November 13, 2018. On that day, gold was worth $40.61 per gram, not that much wealth concentrated in 1 gram. Similar to gold, we always calculate platinum value as the same date as the sale of the Fancy Color Diamond. On November 13, 2018 platinum closed at $25.53 per gram. Just image how much gold or platinum will be needed to reach the value per gram of Fancy Color Diamond, and how hard it will be to store, and move around. As our latest addition to the group, this year, a new record has been broken for cars. 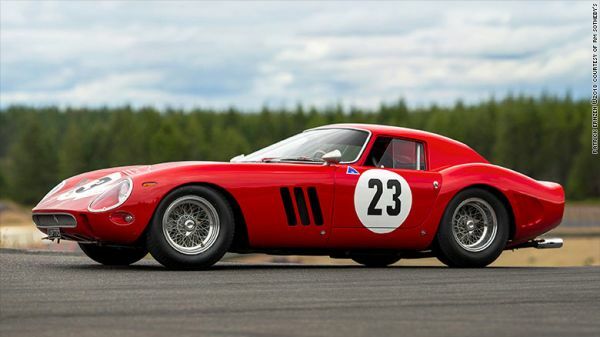 A 1962 Ferrari 250 GTO was sold on august 25, 2018 during a Sotheby’s Pebble Beach auction. It was sold for $48,405,000 in total. Back in 2014, a similar car (same brand, year, make), but different chassis, was sold for $38,115,000. During a 4 year period this car has appreciated by 27%. This makes an average Annual ROI of 6.11%. based on the same approximate weight used in 2014 of 800kg, the value of this car is about $60.50 per gram. The past year was a continuing trend of the last few years with several uncertainties including Fancy Color Diamonds, this year. In some areas, prices climbed, in others prices were soft. Every industry will go through a softening period before going on to the next uptrend. In Fancy Color, the softening period is the period where the market (which includes dealers, investors and consumers alike) interiorise the fact that unique fancy colors are becoming more rare and their value continues to climb, thus accepting to pay more. It is the exact trend as in the Art world. The same exact piece was sold for 80% less just 15 years ago. The art investment world is more developed than the Diamond Investment Industry, but eventually, the gap between the 2 worlds will become smaller. What currently represents a year worth of jewellery sales at both Sotheby’s and Christie’s is less than a single auction in the Art for either auction houses. If only the diamond investment industry double its size per year! Do you see the potential as much as I do? The only missing part which has to be resolved is transparency and provenance. Hopefully this will be a key solution factor in 2019. Of All Passion Investments That Sell At Auction, Do Buyers Spend the Most On Fancy Color Diamonds? What Is So Extraordinary About The 2018 Argyle Tender?